Jolly Parrot Sailing is an RYA Recognised Training Centre offering the full range of RYA Theory and Practical courses from Gibraltar, throughout the year. We are a Gibraltar registered company with offices in UK and Gibraltar. We provide our clients with the highest quality, professional and thorough tuition taught in a friendly, 'plain English' manner. We teach to the highest standards in order to help you stay safe on your course and in the future. We also try to offer our students that 'little bit extra' to promote good seamanship skills. What is the climate in Gibraltar? Temperatures can rise above 30°C in summer. Gibraltar has an average of 300 days sunshine a year and the climate is Mediterranean. The sub-tropical sun of North Africa is tempered by gentle sea breezes in summer. In January, daytime temperatures are usually around 16ºC to 18ºC and it is quite possible to top up a tan. Jolly Parrot’s head office, RYA Training Centre and training yachts are based at Queensway Quay Marina in Gibraltar. Gibraltar is considered one of the best areas to complete an RYA Sailing course in the Mediterranean due the fact that it is in tidal waters, the only port in the Mediterranean that is! Gibraltar is renowned for its warm wind and clear blue sea which makes for ideal sailing conditions almost permanently. Marinas in and around Gibraltar offer the common 'stern-to mooring' which makes this a perfect training ground for any novice skipper or crew looking to bareboat or flotilla charter in the Mediterranean in the future. Take a look at Where we Sail for more info. Why Learn to Sail in Gibraltar? What is the best way of getting to Gibraltar from the UK? We recommend flying direct to Gibraltar airport which is a 30 minute walk or a couple of minutes in a taxi to the marina. For more detail contact us on 02380 970824 or see How to Get Here. How do I get to Queensway Quay Marina when I arrive in Gibraltar? It is a simple 30 minute walk from the airport or a few minutes by taxi. After you book your course we will provide further details for getting to the marina. During your time with Jolly Parrot Sailing we will endeavour to visit as many and varied ports of call as possible. From the bustling maritime hub of Gibraltar through to the sleepy laid back fishing village of La Duquesa we really do have it all! Almost every week we cross the second busiest waterway in the world to visit the African continent and spend an evening soaking up the ambience. On a typical 5 day RYA Sailing Course you will cover at least 100 Nautical miles criss-crossing the busy Straits of Gibraltar or maybe even sailing around toward Cadiz, passing right over the scene of the famous battle of Trafalgar! Below is a small selection of our regular ports with a brief description of what to expect. Our home base and the most prestigious marina in Gibraltar by far! With a selection of Gibraltar's finest restaurants and surrounded by exclusive properties set at the base of the Rock of Gibraltar this really sets the scene for your sailing course! Marina bay is the second Gibraltar marina. Currently undergoing extensive development including the installation of a multi million pound floating hotel and many new and exciting bars. Situated immediately next to the Airport it is probably as close as a person can get to an aircraft taking off without being in it! 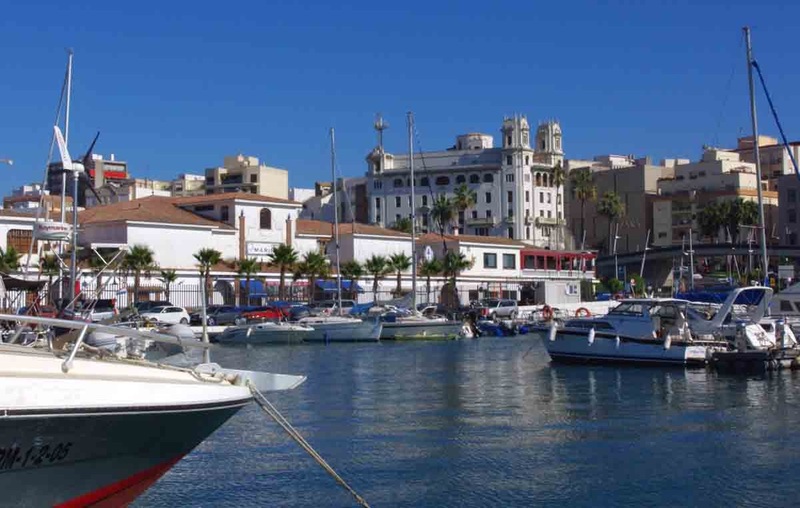 Alcaidesa marina is known locally as 'La Linea marina' because it is located in the border town of La Linea. While only 3 miles from our home marina the town offers a taste of real Spain, with little tourism it is a real working Spanish hub. The marina is large and accommodating and we have permission to practice our power handling exercises here. During an RYA Sailing course we almost always spend some time here honing our skills and boosting our confidence at 'parking' the yacht. Ceuta is a Spanish enclave on the rugged North Moroccan coast. Ceuta is almost exactly the same size and population as Gibraltar. While the enclave is Spanish it has a very Moroccan feel to it with a large selection of bars and restaurants dotted around you can be sure to find some authentic Spanish or Moroccan fare. The marina is quite small and makes an ideal port for a night entry with some tricky pilotage and requires a good level of boat handling and skippering skills to berth the yacht efficiently. Ideal for our Day skipper and Coastal skipper students! Sotogrande has always been and still is the playground of the rich and famous. Home of the infamous Santa Maria Polo club and only a stones throw from several world class golf courses such as Valderrama. With such a rich heritage it is not uncommon to see a celebrity or two drinking in one of the bars or simply cruising through en route to their luxury villa! The marina has excellent facilities and has a whole series of canals hidden away behind the main harbour which allows us to practice manoeuvres even in the worst of conditions. Duquesa is always a favourite with both Skippers and students. 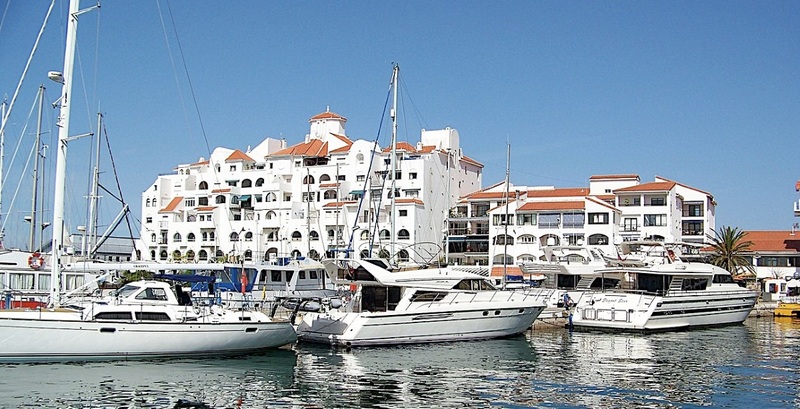 The pretty marina has excellent facilities and a vast selection of restaurants and bars. Often in the Summer months we indulge in a 'Sundowner and tapas' at one of the many beach bars adjacent to the marina. The little Spanish town of Sabinillas is a few minutes walk along the coast path where a whole host of Spanish bars and shops can be found if time permits. The layout is typical of most Mediterranean marinas and provides us with many options for mooring the yacht in a fairly tight spot! Estepona is a typical Spanish town. The port is still a working hub with a constant stream of trawlers and 'Pot men' hurtling in and out day and night.The marina is well appointed with great facilities and plenty of hostelrys for a cheeky beverage after a long day sailing. Once again the layout is typical of a Mediterranean marina providing great scope for training. The main town of Estepona is a short walk along the seafront but is well worth the effort to stretch the legs and have a wander around the old town with a whole host of plazas and pretty streets. Are the RYA sailing courses classed as tidal? Yes. Our RYA sailing courses in the Mediterranean Sea in which we typically sail is in tidal waters. How can I book a RYA course or sailing event? The booking procedure is very simple. Browse the website by selecting your RYA Course or Yachting Adventure follow the links to book. Alternatively you can contact us on 02380 970824 or info@jollyparrot.co.uk. What currency does Gibraltar use? The official currency is the Gibraltar Pound (GIP). UK notes and coins are also accepted and have the same value, but Gibraltar Pounds are not accepted in the UK. Euros will also be required for overnight stops in Spanish and Moroccan ports. What should I wear / take on my RYA sailing course? After booking, we will send you a Joining Instructions pack which will provide a list of recommended items to bring with you. Please note that bedding, towels and waterproof clothing is provided. There is also a hairdryer on board each yacht. You should wear comfortable, sensible, casual clothing. It is important to bear in mind that you will be spending your time outdoors. Read our Blog article: What should I wear on an RYA Sailing Course? What yachts do you use? Our primary training yachts are Bavaria 36's and also a Bavaria 46 which can accommodate up to 8 people, although for personal comfort and safety our RYA training courses have a maximum of 5 students. Our training yachts can accommodate up to 8 guests, but for personal comfort and to keep within the RYA’s guidelines we have a maximum of 5 students on board when on an RYA Course. Yes you will need to travel with your passport. There is no Visa requirement if you hold a full UK passort. Are there toilet and shower facilities on board? Our training yachts are equipped with showers and toilets. Do you cater for vegetarians or other specific dietary requirements? Yes we do cater for vegetarians and other dietary requirements. Simply let us know in the relevant section of our Sea School booking form and we will take care of your catering requirements. What is the lower / upper age limit? There is neither an upper or lower age limit however children under the age of 18 years must be accompanied by an adult. As long as you are healthy, you will be able to join one of our sailing courses. Read our Blog article: What Age Limits Exist on RYA Yachting Courses? Can I be contacted whilst sailing? GSM mobile network is active in all ports and messages can always be passed on. Most marinas now host wifi hotspots. What is the Royal Yachting Association (RYA)? The Royal Yachting Association (RYA) are the governing body for recreational water sports in the UK. They also set the course syllabus, issue certificates and guidelines for Training Centres. RYA sailing certificates are internationally recognised. Although travel insurance is not essential we recommend that you have it. You may find that your existing travel insurance will cover your RYA sailing course. If you don’t have any travel insurance you may find this link useful; Topsail Insurance. Also read our article: Do I need Travel Insurance for an RYA Sailing Course? How do I know that the boat is safe? Our training yachts are Maritime Coastguard Agency coded for commercial use. This means they are inspected annually including a full service of all safety equipment. Our yachts also undergo a full out of the water inspection every year. Do I have to complete a RYA sailing course or can I just come along for the experience? As long as you have the required prior experience specified for the level of RYA course you want to book, you can join us to gain further experience or extra tuition.We actively promote 'sailing for fun'. Unlike many other more regimented sailing schools. Several of our courses are open to complete beginners, where, in theory, anyone, regardless of experience, can join us for a few fun days on the water under the guidance of a professional skipper. Click here see our range of Sailing Adventures. Yes. Our RYA sailing courses and yachting adventures are fully residential. Bedding, towels and a hairdryer are provided. Sleeping on board is all part of the adventure of yachting and also an important aspect of the course. I would like to spend a weekend in Gibraltar before or after my course. Do you have any hotel information? Please click here to see a list of local hotels. Do you accept payment by credit and debit cards? Yes. We accept all debit cards and most major credit cards. Will I have to share a cabin? Smoking and alcohol consumption are not permitted on board while underway. The longest we will be on any single voyage is 6 hours. I cannot open some of the pages on this website. If you are having trouble opening some of our PDF files on this website please download a copy of Adobe Reader by clicking here. Alternatively contact Jolly Parrot on 02380 970824 for another file format or to discuss your query. Do you offer Motorboat or Powerboat courses? Jolly Parrot Sailing only provides yachting courses within the RYA Sail Cruising scheme. Please click on either RYA Motorboat Training or Powerboat Training to find courses & further information. Do your offer dinghy sailing courses? Jolly Parrot only provides yachting courses within the RYA Sail Cruising scheme. To find an RYA Dinghy Sailing Centre please contact the Royal Yachting Associaltion by clicking here. Do you offer sailing lessons for Catamarans or other Multi-hulls? We do not currently offer multi-hull sailing courses.